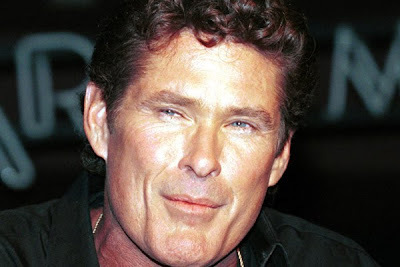 David Hasselhoff before and after plastic surgery, botox injections. Once upon a time in a far away land called Hollywood, there were many famous people who suddenly started to look different, and while the towns people of Hollywood couldn't figure out exactly why, the answer was right under their noses all along. Meanwhile back at the ranch... David Hasselhoff was being hassled about his sudden change in appearance, which led to numerous claims of plastic surgery, however the Hoff has denied such reports. But he did confess to receiving botox injections. When you alter your face this much with botox, its pretty much plastic surgery, right? Saw the last part of his roast -- he sang at the end and has a really good voice!! he is kinda UGLY !!!!!!!!!!!!!!!!!! KENNY SHOULD GET HIS MONEY BACK!